If you are a fan of HGTV then you have probably seen all of the episodes showcasing Sarah’s cottage that is located on the tiny island 17 miles away from shore. I have been a fan of Sarah Richardson for a very long time. 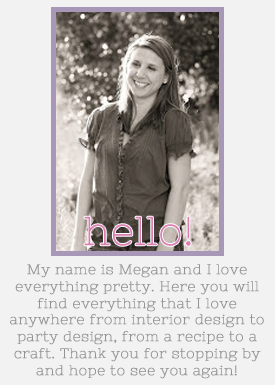 She has a great eye for design, and is not afraid to get her hands dirty, and use tools when needed. Everyone has a view no matter where they are sitting in this living room. The whole house has an elegant yet casual yet child friendly feel. After all, Sarah has two kids that she plans to bring every time the family comes to their cottage. The hanging hats in the dining room lounge make a lovely and unique display. I love that blue on the chair. The boards that you see used on the wall below the countertop are left over wood boards that were originally in the house. She had them painted, and glued on. The bolsters she purchased from a salvaged yard that sells vintage goods, which I think its pretty cool. Originally Sarah wanted three pendant lights over the counter where you see the “Groceries” sign but old cottage, new lights, solar system didn’t go together for some reason so that’s where the sign came in. All the boards in the cottage are white washed pine both original from the house, and newly bought. I love how she has used different seating all around the table. In the master bedroom Sarah compromised with her husband and settled for red. I say it looks great against the white furniture (the desk and the chairs where bough from a second hand store) and the blue painted floors. The table lamp in this room are made from left over birch wood and a light kit. Easy peasy! I enjoy that red pillow in the room, it gives it a pop of color and more fun. I have to say I would love to have a small cottage like this to live in. It’s cozy and spacious. Now what I want to find out is the little vintage shop that Sarah and Tommy constantly visited during the remodel. It looked like it had great finds. (Okay, I found it. It’s called Cynthia Crawford Antiques.) Now I just have to figure out a reason to visit the Toronto area. I have heard good things about it. For more photos of the cottage go here. Sarah is always so brilliant...here designs are fantastic and I am always excited to see her vintage finds. I *love* this cottage, it is absolute perfection! My husband was just saying he has always wanted a sailboat for over the fireplace, but it just have never worked out depth and size way.